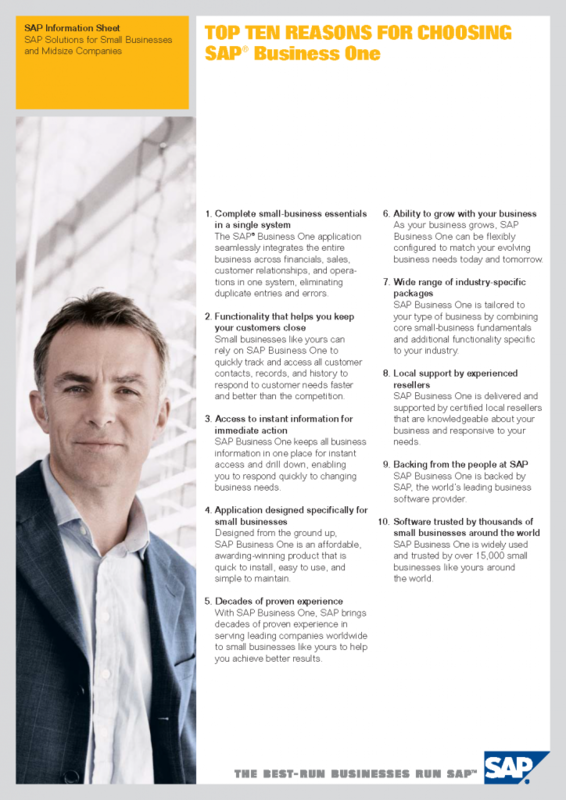 Business One is SAP’s premise-based ERP for small to midsize enterprises. The SAP Business One application provides an affordable, comprehensive solution for managing your entire business – from sales and supply chain management, to financials and operations. The out-of-the- box automated alerts, analytics, andmobility solutions make Business One a true business management system. With SAP Business One, businesses can fully integrate and streamline operations, act on timely and complete information and accelerate profitable growth. This integration makes decision making far more effective and efficient than ever before.